Posted on July 11, 2012 July 11, 2012 by I'm Ash Walsh. Let me be straight with you guys…ahh geez this is gonna get ugly- I can feel it. Yeah I kind of hinted around at it in a few posts, and, if you follow any of the ridiculous stuff I write on twitter with Jen.. You most definitely would have picked up on it. It started when I overtrained, and my iron levels dropped way low, back in early February. See-I’m a really fast girl, and my times were not reflecting my training. I ran a 1:36 half marathon on Feb 18 at a race I trained hard for, though on any given training day, I was running 6:45s easily on much hillier and lengthier courses. It was discouraging, and I hated feeling unpleased with myself. Despite the fact that I was completely “unfit” I could still run long for awhile- just slow- and it hurt. I signed up for a local 100 miler, and knew I could finish the race if I took it easy. Then, due to a poorly marked course, I got severely lost and had to pull after 11 hours. At the race, I felt like my individuality was gone. I looked around me and noticed that everyone looked the same. I felt stupid and childish. After that race, I literally sat on the couch and fell into a deep depression- I didn’t move at all, I didn’t eat, I didn’t talk to anybody. I didn’t care. I wrote all of this on THIS blog regularly. –I turned into a zombie. Looking back, I’m almost positive this had everything to do with my iron levels being extremely low, but no matter what it was, it lasted for a solid two months. I dismissed a lot of those thoughts, but then some additional stories started coming out.. a few ultra athletes were cheating their way to the top, and with no governing body in place to validate most of the ultra races, these athletes got away with it! I guess all of it just put a bad taste in my mouth. For someone who already had little interest in the actual racing aspect of ultra distance, everything just pushed me closer towards a lack of interest. Finally, I went to the Grand Canyon with Amber- and that’s when everything went out the window completely. 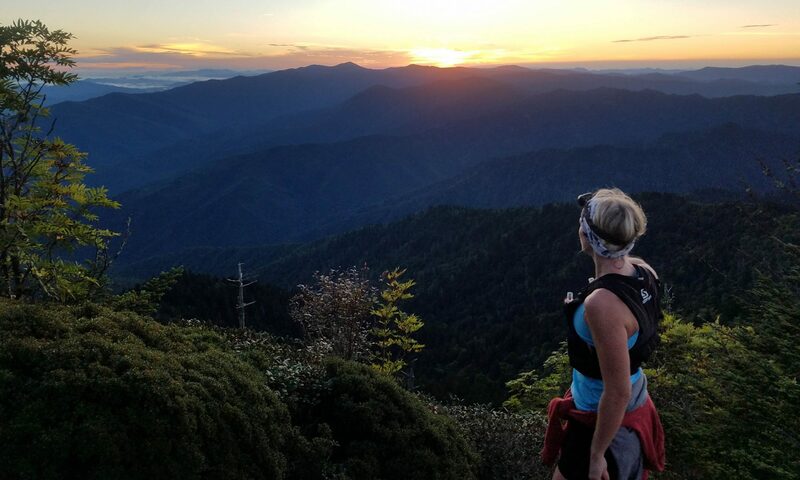 I decided that in my entire running history, my most memorable moments had nothing to do with race day- and everything to do with crossing terrain with my own two feet. Everything else just felt kinda dumb. I guess it all ads up to the fact that I changed. I grew over the year into a different person. I started to feel like ultrarunning was just not my thing. I wanted it to be a part of me, but just couldn’t quite like it as much as I used to. Me in my element- solo running on the AT. Well. Honestly. Up until a month or so ago, I was pretty much in the same arena. After I started interviewing the women running Badwater, things began to change. Not only did I finally get my running ability & mojo back, but I began to care about ultra events again. I’m confident that this has everything to do with the fact that AdventureCORPS runs a tight ship. I’ve been able to creep behind the scenes a little bit, and I’ve talked a lot with the race director, Chris Kostman. In doing so, I’ve learned that not every race is the same. I appreciate the fact that there are strict qualifications to who can race Badwater, and that there’s a whole lot of “prove yourself” stuff going on. I like that because I’m confident that I could run that race and finish fast- but that in order to do so, I have to be “good enough” in several different areas. AdventureCORPS seeks out competitors with not only the credentials, but with character. That weeds out the possibility that one could potentially compete against a cheater or any other douche that might want to race. Doing interviews with the women was also a turning point for me. I was able to see just how seriously these women take their running & racing opportunities, and how bad they want it. To sum it up. I felt inspired again. 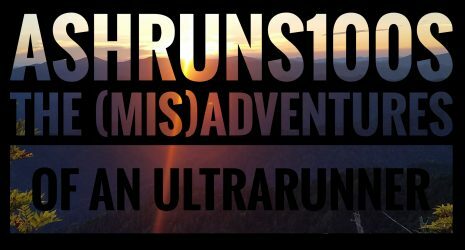 I felt like there was hope in ultrarunning for me. Why? Because I carry the same discipline that these women carry, and I don’t think that I should keep that talent all to myself. I enjoy reading about others and watching other people race-it excites me-so why wouldn’t other people enjoy watching me race as well? For now, racing will be something I HAVE to do until I fall back in love with it. But like everything else, I’ll stay disciplined. I doubt I’ll ever train as hard as I once did. But I doubt I’ll run at the back of the pack either. I like to be fast, so I’m sure I’ll put in effort when needed. I’m going to try to run a couple more hundreds this year, and go from there. As far as sinking into that inspiration: This weekend I’m heading out to Death Valley to work on the webcast for Badwater. It’s interesting for me, packing up for a race, because this is the first time I’m going to one and not running one. I’m road trippin’ from Vegas to Death Valley with one of my best friends, Jen Vogel. I’m excited to hang with a girl close to me that can relate to all of my obscene banter & running musings. And at the race- I’m seeking out that ultra inspiration like a freakin shark that smells blood. I’m going to capture everything and anything that I think is motivational, beautiful, special, and remarkable in an ultra sense. These women racing- I’ve fallen in love with who they are inside and I haven’t even met them. I know they will deliver. I will be anxiously awaiting all of your updates!!! Enjoy the adventure you deserve it!!! Very cool that you will be out there, and great stuff that you have written so far. Happy to hear that your mojo is returning. See you out there in a few days. Thanks, Tony! I’m really looking forward to it! !